ANN ARBOR—Long ago in a galaxy far, far away, fewer galaxies were born than expected—and that could create new questions for galaxy physics, according to a new University of Michigan study. Smercina also says their results have implications for the current understanding of how galaxies form—which is in much larger halos of dark matter. To observe the number of satellite dwarf galaxies around M94, the researchers took a composite image of the large galaxy. The image covered about 12 square degrees of the night sky—the full moon, for comparison, appears as about one square degree. 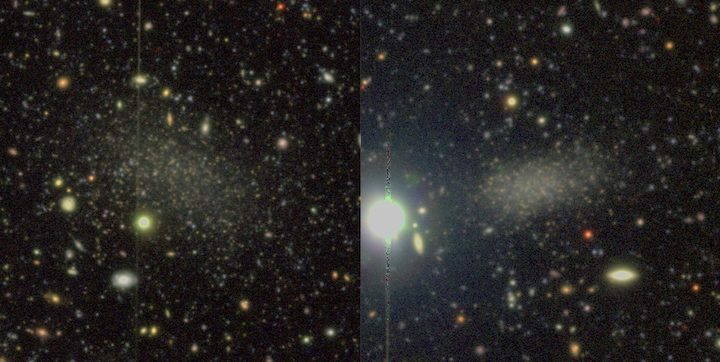 This kind of image includes layers and layers of “noise,” including cosmic rays and scattered light, which make faint dwarf galaxies difficult to detect.